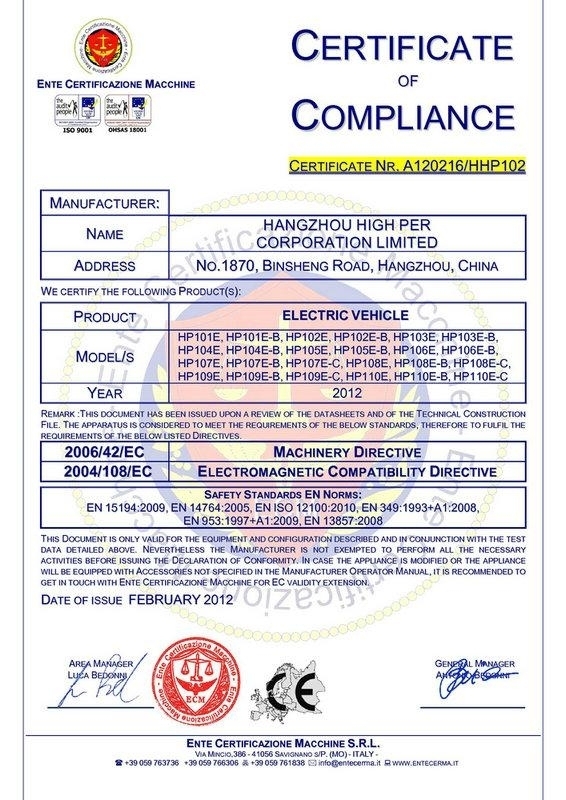 Hangzhou High Per Corporation Limited, once a part of Zhejiang AMP incorporation was found officially in year 2009 as a seperate legal entity. We have been specializing in manufacturing mini bikes, atvs, dirt bikes, scooters, electric bikes since year 2001. Our factory making ATV, Dirt Bike,Pocket Bike, Scooter is located in Wuyi city, which is only one hour ride from Yiwu City or 2 hours from Hangzhou air port. Most of our products are exported to Europe and North America market. We have our own brand name Highper, which are getting famous in Europe, especially in U.K. Germany, and Italy. East Asia and South America is our newly develped market. The output value of our company in year 2017 was over 10 million USD. Although not a big volumn, we are developing fast every year. 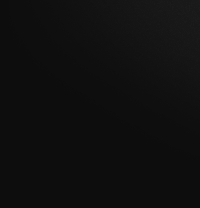 We hope to grow with partners all over the world and enjoy mutual benifits with you. Europe is our main market. 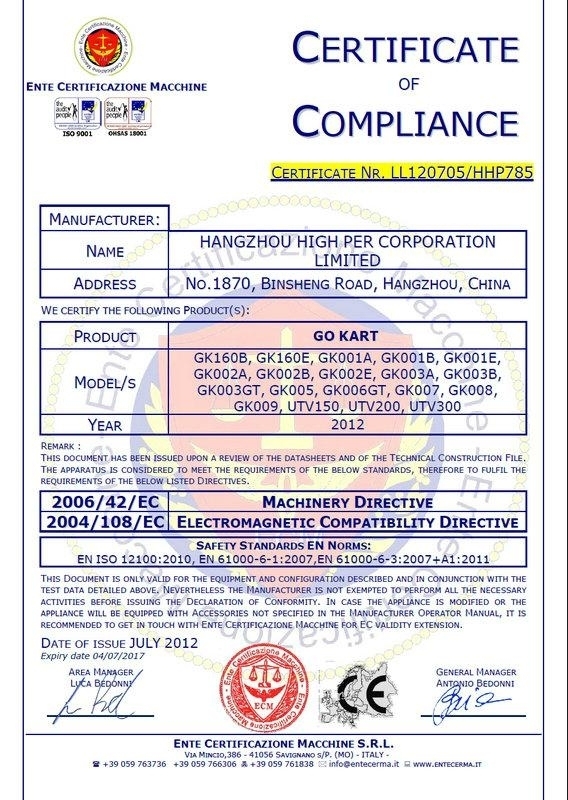 Most of our products have passed e-mark certificate. Copyright 1999-2017 Hangzhou High Per Corporation Limited. All rights reserved.